The NKY Chamber Women’s Initiative will host one of the largest networking events in the region on July 27th. “Connecting Shore to Shore” was started four years ago to give women in the area the opportunity to meet other professional women. It is one of the premier events hosted by the Women’s Initiative. Over the last few years, it has become a powerful networking tool for women in the region. 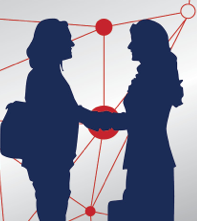 The event features a professional but casual setting where new connections are made and women are inspired by their fellow peers on how to achieve the next step in their career” said Dale Silver of C-Forward, Inc. current chair of the Women’s Initiative. “Connecting Shore to Shore” will be held Monday, July 27 from 5-7 p.m. at the Radisson Hotel Cincinnati Riverfront, in Covington. Cost to attend is $30 which includes appetizers and two drink tickets. Registration is required and can be made by going to www.nkychamber.com/events or calling Pam Mastruserio at 859-578-6384. The event is open to all women in the area. During the event, donations will be accepted for the Northern Kentucky Scholar House, part of a statewide initiative giving low income mothers support in housing, education, economic and child care areas. The house is a partnership between Brighton Properties, Neighborhood Foundations, and the Model Group. The NKY Chamber of Commerce Women’s Initiative began in 2008 and is the leading organization for women of all career stages to connect, grow and achieve for business and professional success. PNC Bank is the overall Title Sponsor of the Women’s Initiative. Event sponsors for “Connecting Shore to Shore” include: Brianza Gardens & Winery, Disinfecting for You, Greta Hoffman & Associates, Lohmiller Real Estate, The Metropolitan Club, RCSN Executive Search, Skidaddles and St. Elizabeth Healthcare. You might be interested in this NKyTribune story about the Northern Kentucky Scholar House.